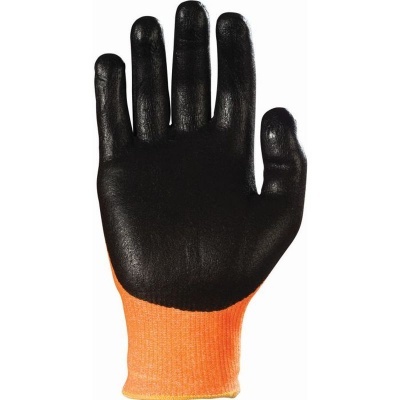 In wet and oily conditions, the best performing glove will provide a specially engineered coating for added grip. 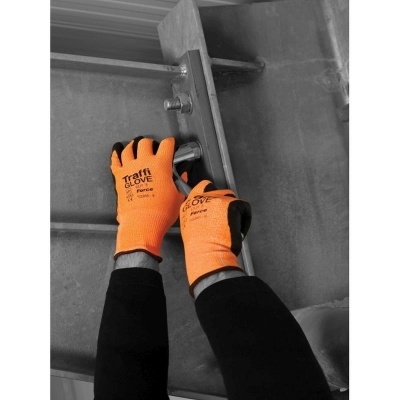 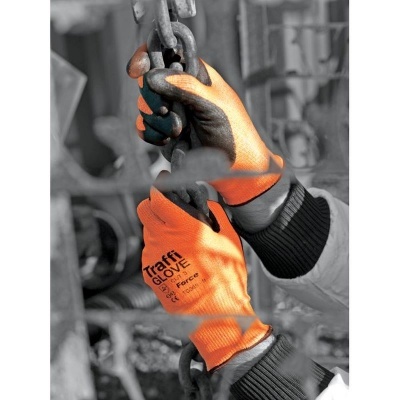 The TraffiGlove TG365 Force Nitrile Foam Plus Coating Cut Level 3 Handling Gloves offer just that with their Nitrile Foam Plus coating that offers not just significant grip, but abrasion resistance too. 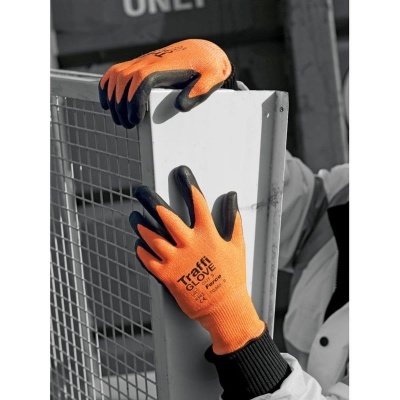 Highly versatile and dexterous, these gloves offer the user both protection and longevity, meaning long-lasting safe secure handling is guaranteed. 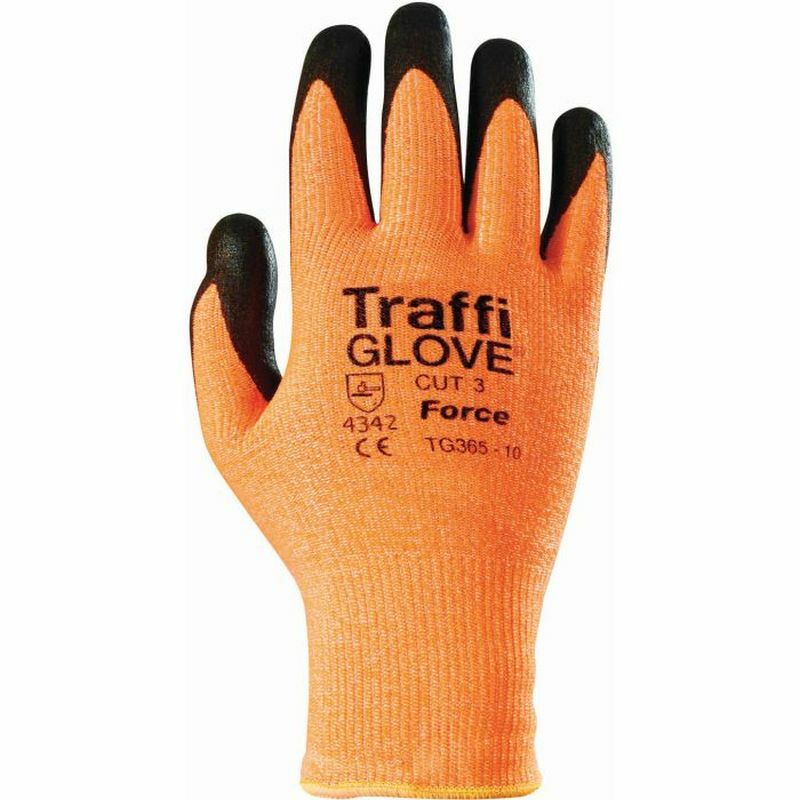 The TraffiGlove Nitrile Foam Gloves are available in five sizes that should suit the hands of most users. Please measure the circumference of your hand around the knuckles (excluding the thumb) with your hand open and your fingers together, and the length of your hand from the tip of your middle finger to your wrist.